The Mill Hill Bridge spanning Holt Mill pond at the Deer isle-Stonington town line will be replaced in 2019, according to the Maine Department of Transportation. A detailed construction plan has not yet been released. While bumps, frost heaves and potholes continue to appear in April, prompting much discussion about the roadways, motorists looking forward to seeing smoother roads on the island may have to wait a bit longer as area bridges are the state’s priority. Each year the Maine Department of Transportation releases an updated three-year work plan and for 2019 there is one item listed for both towns: the replacement of Mill Hill Bridge spanning Holt Mill Pond at the Deer Isle-Stonington town line. Built in 1939 (the same year as the Deer Isle-Sedgwick Bridge), the 43-foot structure sees an estimated 2,644 cars on an annual daily basis and is considered to be in a state of deterioration, according to the department. Projected to cost $240,000, a start date has yet to be announced. In 2020 and 2021, more bridge work will take place. 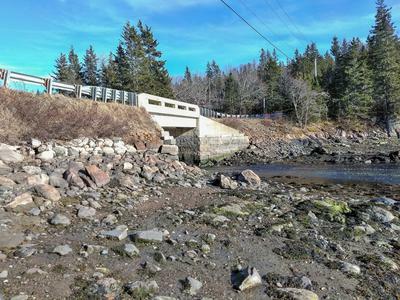 Oceanville’s bridge is slated for replacement at a cost of $2,458,500 and the Deer Isle-Sedgwick Bridge will get a surface replacement estimated at $3,000,000.